Everything you need to know (+ don’t need to know) about Golden Turmeric Elixir. 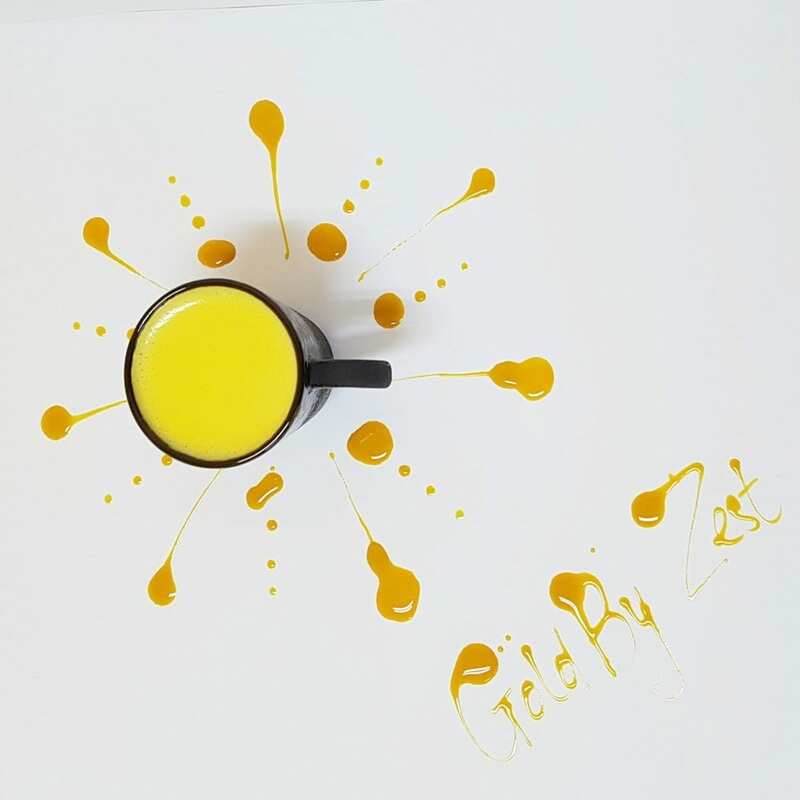 The Golden Turmeric Elixir is a delicious caffeine free alternative, packed full of goodness. Made from 7 ingredients; Turmeric, ginger, cinnamon, Australian raw cane sugar, black pepper, vanilla and water. Coffee drinkers are always going to be coffee drinkers, and that's cool 'cause we are crazy about coffee too. But in your cafe it's a great idea to have some options for those who coffee doesn't agree with. This product fills the gap in the market for people looking for a delicious alternative that is packed full of goodness. Michael Bishop, the founder of Alchemy started working on the Golden Turmeric Elixir in 2014. He purchased a sustainable farm in Northern NSW + grew turmeric, ginger, galangal, bamboo and several other SE Asian crops. As he was fascinated by the well documented health benefits of turmeric, it's brilliant colour and delicious flavour, the team at Alchemy started blending, testing and playing with the turmeric and other ingredients in what has been an ongoing process of evolution. At the same time, the rest of the world has been developing an obsession with turmeric. With new reports being produced in support of potential health benefits of turmeric such as enhancing mood, antioxidant and anti inflammatory properties, it really stood out as a 'must add' to our range. This delicious beverage has been described as 'Liquid Sunshine'. Curcumin is the active compound in turmeric which is responsible for its bright colour, and a whole host of health benefits. Unfortunately curcumin is poorly absorbed by the body. However when paired with black pepper, the bio-availability of curcumin is increased dramatically. Research has shown that turmeric may be associated with many health benefits; anti-inflammatory, mood enhancing, assists digestion, antioxidant properties, cleansing and improves brain functionality. 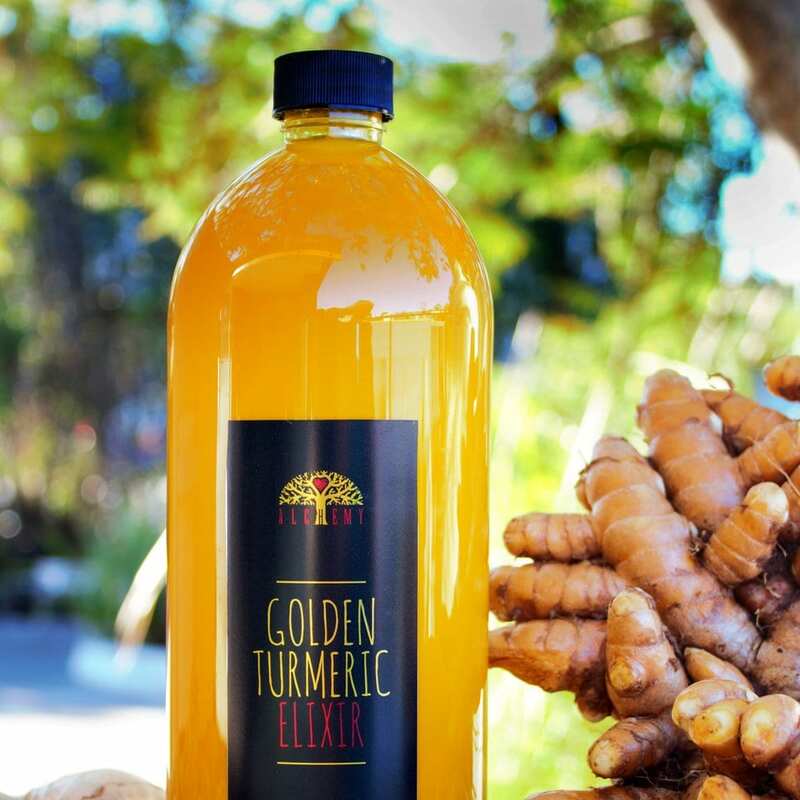 The first thing you notice about the Golden Turmeric Elixir is the colour, both in the bottle and in the cup. Its brilliant yellow hue is so vibrant that you almost can't believe it is natural. Not only is it 100% natural, it is the key to the goodness of the turmeric. The colour comes from curcumin, which is the bioactive ingredient. We use concentrated natural extracts and essential oils in formulating the Golden Turmeric Elixir, and we do this for a reason. 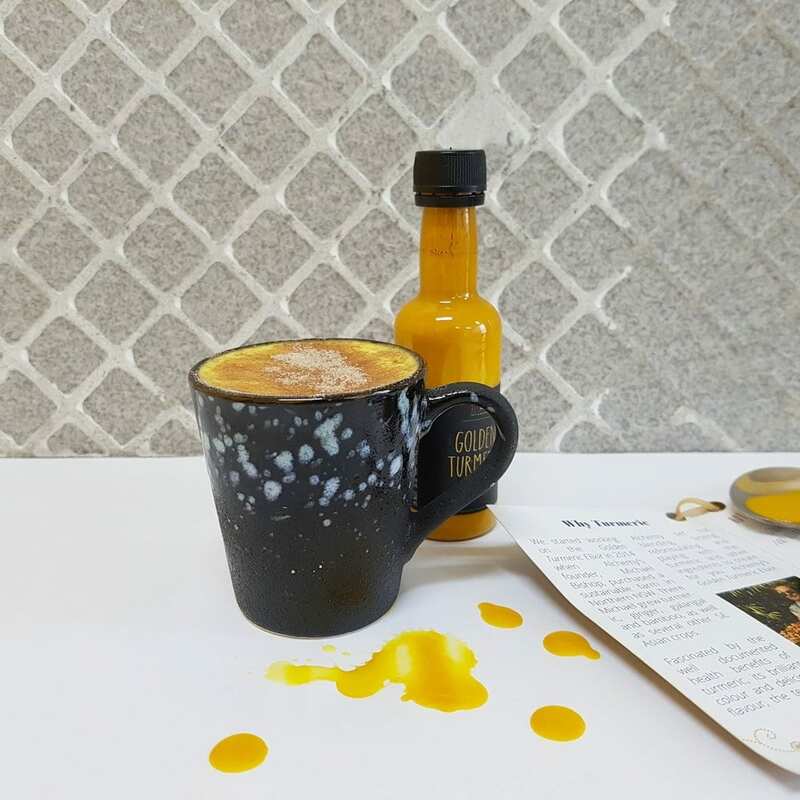 HOT TURMERIC LATTE | Add 15ml of Golden Turmeric Elixir and 220ml of milk into a jug and steam together. ICED TURMERIC LATTE | Add 15ml of Golden Turmeric Elixir to a glass with ice and pour in cold milk. For best results dust with a little cinnamon. Tastes equally delicious in all types of milk and smoothies.